Galaxy S8 is the recent launch from Samsung one of the most renowned company that has an immense fan following. Yes, I am talking about Samsung. The lately introduced device is endowed with cool features that promise to enhance the user-experience. The device is a head turner and is making people fall in love with it for miscellaneous good reasons. Seeing the enormous response from the customers, we decided to dedicate an article to Galaxy S8. It’s not a review, though but a collection of super cool and best Samsung Galaxy S8 cases worth checking out. The moment any device is rolled out, its accessories start popping up in the market. Ever since the launch, lot many users are trying to find out a smart case to protect their all new device from scratches and from breaking. One of my friend asked me to suggest a nice case for his S8. While looking for the cases for Galaxy S8, I came across some really nice looking cases that promise to protect the device and make it all the more stylish. 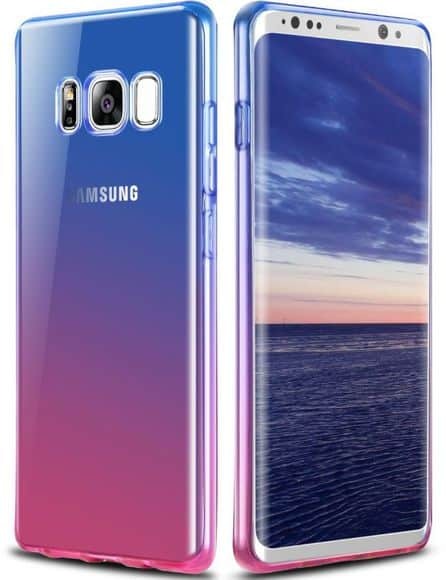 So, we thought of making an article showcasing best Galaxy cases and covers that will protect your device and even make it look more beautiful. Before that, did you all check our article that comprised of best wireless chargers for S8? If not, click the link here – 7 Best Samsung Galaxy S8 Wireless Chargers. For now, take a look at the handpicked best cases for Samsung Galaxy S8. 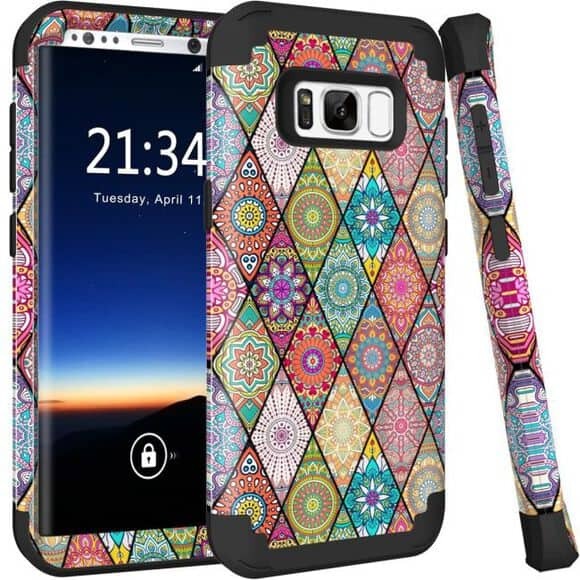 Hocase Galaxy S8 case comes with vintage exotic flower pattern and drop protection with hybrid dual layer design. This stylish case with vintage exotic floral pattern is ideal pick for all you lovely women out there. The case is shock absorbent silicone bumper, has a hard back cover and plastic front frame. Its hybrid dual layer design provides great protection against accidental drops, bumps and shock. 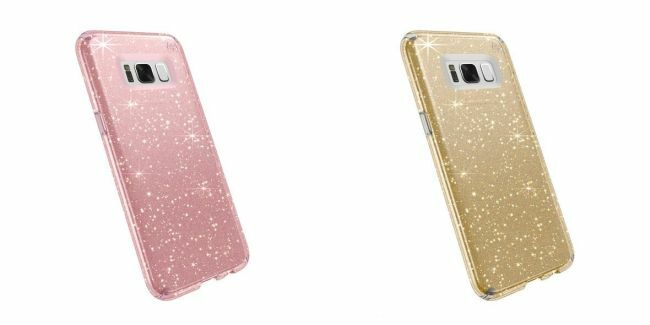 This dazzling Samsung Galaxy S8 case is for those of you who want to jazz up their smartphone with glitter. The smart case is capable of resisting damage from drops of up to eight feet. Made up of a material called Impactium Clear, the case doesn’t turn yellowish when exposed to the sun for a long period. 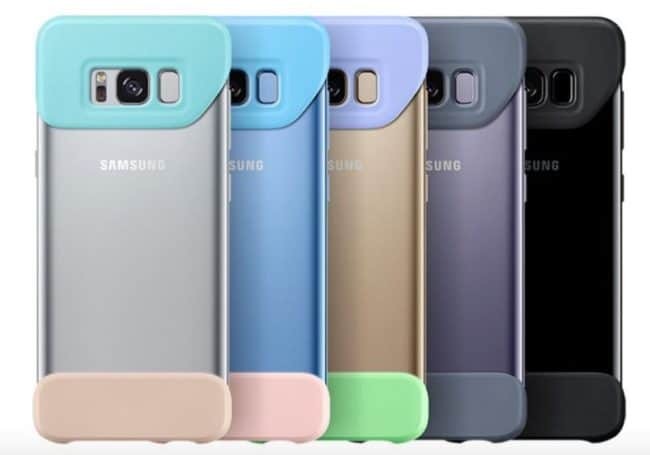 Here is one slim fit case lightweight cover with thin protective shell, flexible shock absorbing soft rubber bumper for Samsung Galaxy S8. Its blue pink colour adds to the beauty of the case. Simple yet cool, the Galaxy S8 case is made of soft silicone rubber gel, is highly resistant to oil, dirt, and scratch. The case offers precise cutting: convenient access to all functions without any kind of fuss. 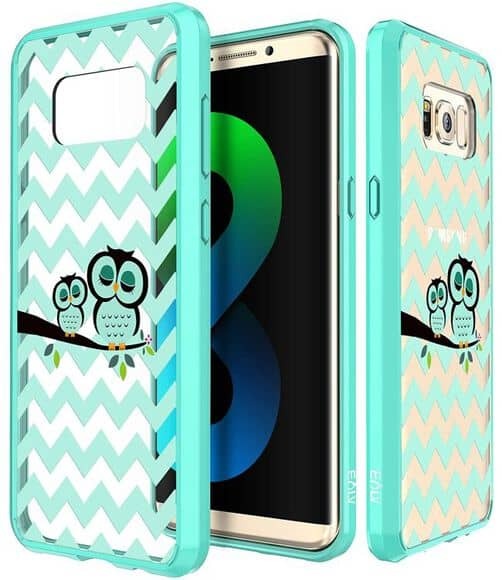 At Skinit, you’ll get an amazing range of Galaxy S8 Pro cases from cute Hello Kitty cases to Superman logo cases, Brilliantly twisted case to others, this is one stop destination for all those of you who loves checking out lot many cases before finally buying. Click on the link and check out some really fantastic cases for your Galaxy S8. The cases from Speck come with lifetime warranty. Yes, you heard me correct. Here is one case that is 10-foot drop tested to give greatest protection for your Samsung Galaxy S8. The case has no-slip grip, and minimizes the risk of making your smartphone get crack. Mujjo is one smart leather case that is available for pre-order. The case is made in such a way to fit Galaxy S8 stylishly. The sleek silhouette, premium quality full-grain leather case promises to hold your gadget in vogue. Mujjo cases are not just available for Galaxy S8 instead there are many other devices like iPhone, Samsung S8+ and many more. Clean and contemporary, the leather cases have unobtrusive design with perfectly placed openings for the volume rockers and connectors. Made up of (Polycarbonate and flexible TPU, the case ensures your phone is safe, protective, light weight which fits your phone perfectly. ELV is an anti scratch clear slim ergonomic case for your Galaxy S8 case. 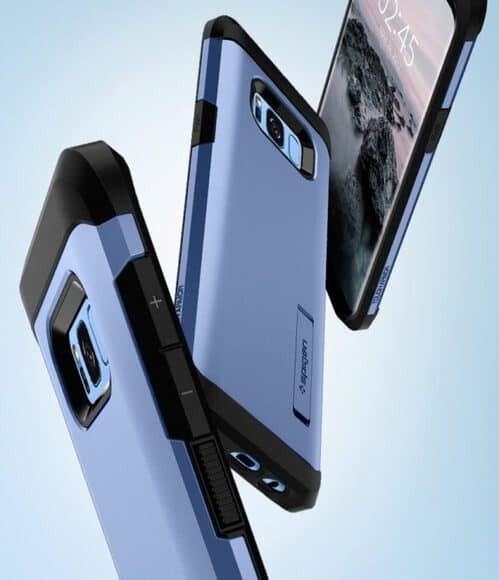 The case promise to prevent wear and tear to let you use your smartphone for long. The case comes with cut-outs for speakers, camera and other functional ports. 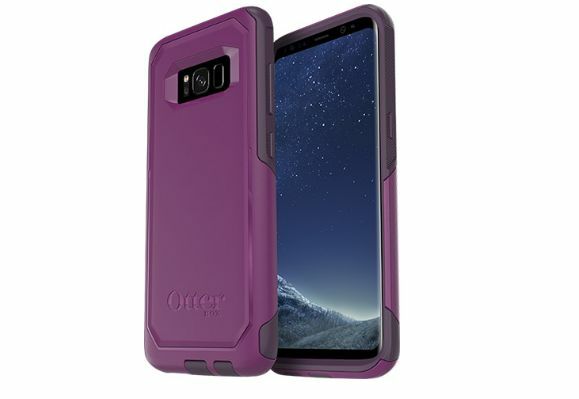 Protect your Galaxy S8 by putting it into Otterbox Commuter Case. 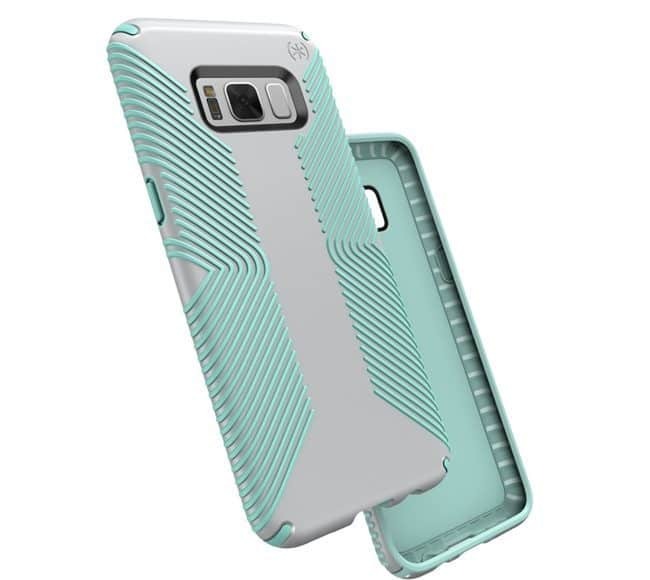 It is a slim and tough Galaxy S8 case that is incomparable when it comes to safety and style. Its a heavy-duty impact protective case that not only keeps your cellphone safe instead does that in style. Otterbox’s 2-layer protection and dust covers help in keeping dirt out of the smartphone’s ports. 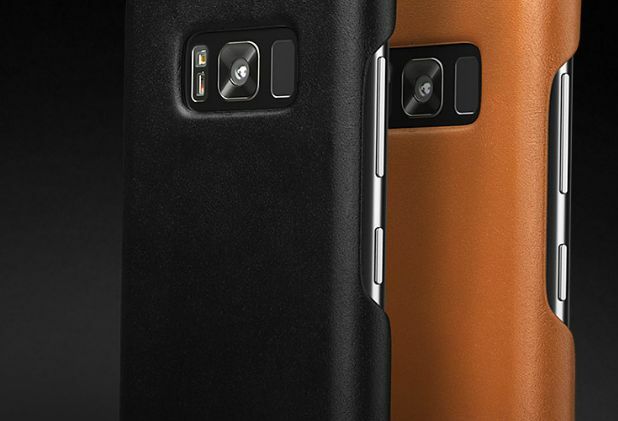 The case is available in black, but if you want you can order it in a range of two-tone color combinations. 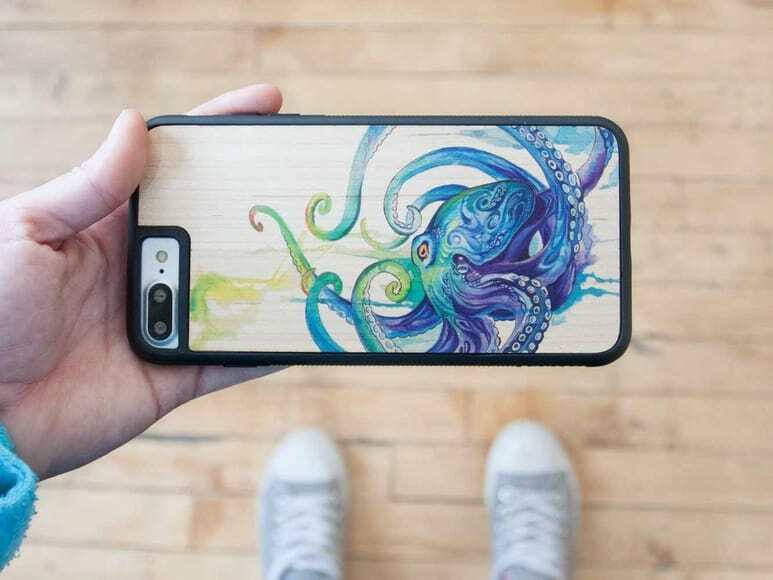 This octopus print Katy Lipscomb case for Samsung Galaxy S8 is definitely worth taking a look. The amazing octopus picture covering almost the entire case is making it amazing. Made up of real wood case, featuring the artwork of Katy Lipscomb, the beautiful artwork is superb. It is laser cut and finished by hand. How cool does that sound? 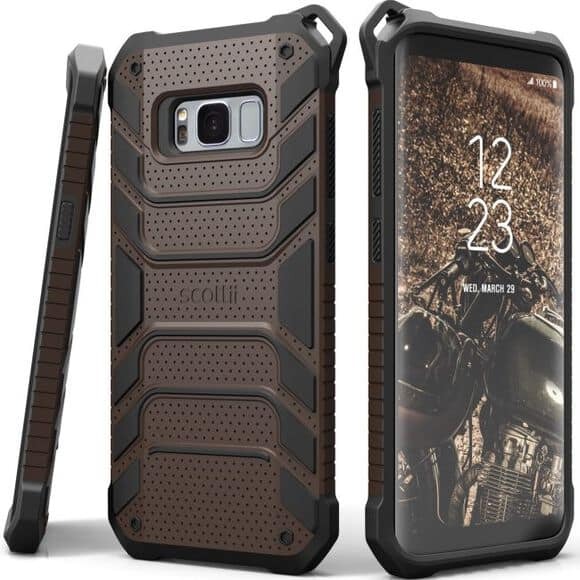 The dual layer slim rugged armor case for Galaxy S8 in rugged brown colour looks super amazing. 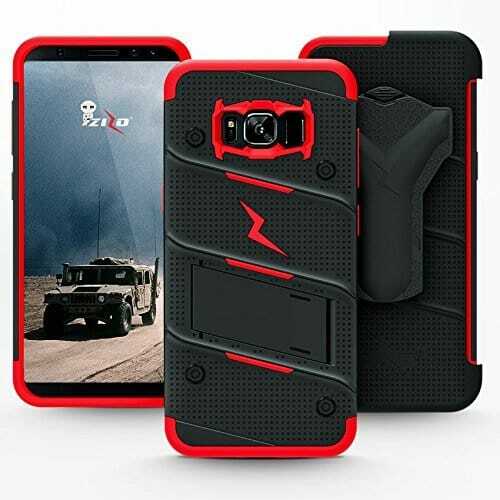 The tough case is one ultimate defender case hat features a brand new rugged design that is built in such a way that your S8 is promised complete safety. 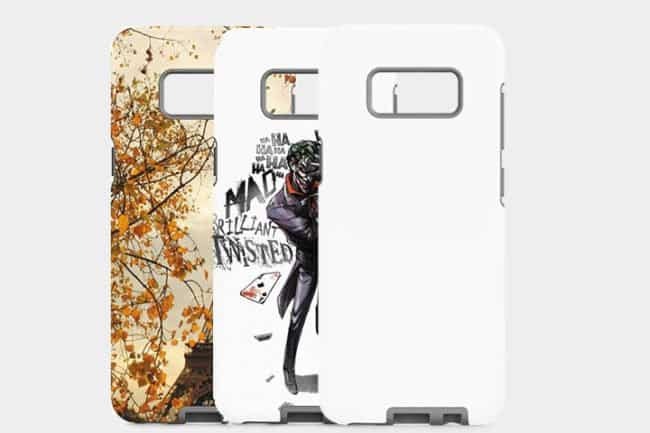 Firstly the soothing colors of the case will leave you amazed and secondly when you get to know about the case, you will surely be left wide mouth opened. What’s so cool about the case? Well, as the name says its a two piece case. Yes, that’s right. The case is such that it won’t cover your phone completely but still protect your phone. There are two end-caps that cover the top and bottom. Nice shapes, colors and suction pads on the inside for installation make the case unique. MIL-STD 810G certified Zizo Bolt case offers multi-layer protection. It comes with soft shock absorbing TPU and polycarbonate which is impact resistant. You not only get the case, but a lanyard, a kickstand and a belt clip holster with a 360 degree rotatable swivel. There are good color options available. As the name says, its a keyboard case. Yes, I am not at all kidding. Now you can own this case and type on keyboard like our phones used to be. Nostalgic isn’t it. What you got to do is simply snap it onto the front and use. It’s as simple as that. Protection of your device is undoubtedly of utmost importance but once you check options like this one, you won’t be able to resist the temptation to buy it. This elegant case promises to offer dual-layer protection of your Galaxy S8. It is made up of a TPU body and PC back, has raised lips to protect screen and camera. The case comes with kickstand for hands-free viewing experience. Also, it is Mil-Grade certified with Air-Cushion Technology in all corners. Aren’t these good reasons for you all to opt for this stylish yet cool case. Here is one of the coolest case of my choice. I like the velvety background and the nice colours it comes in. 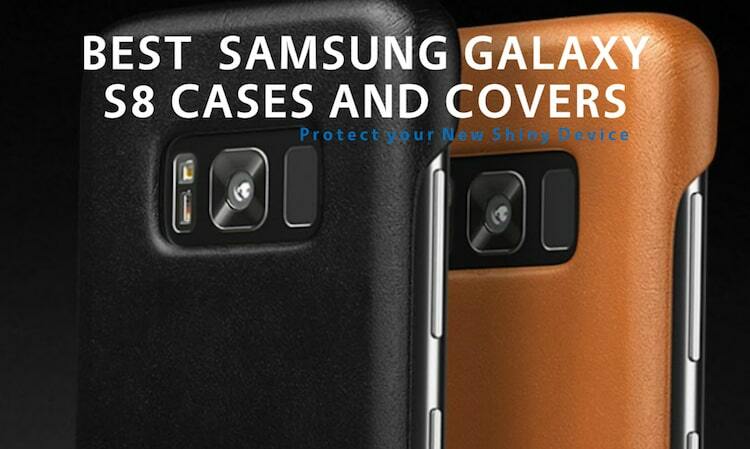 The case is stain resistant and durable. 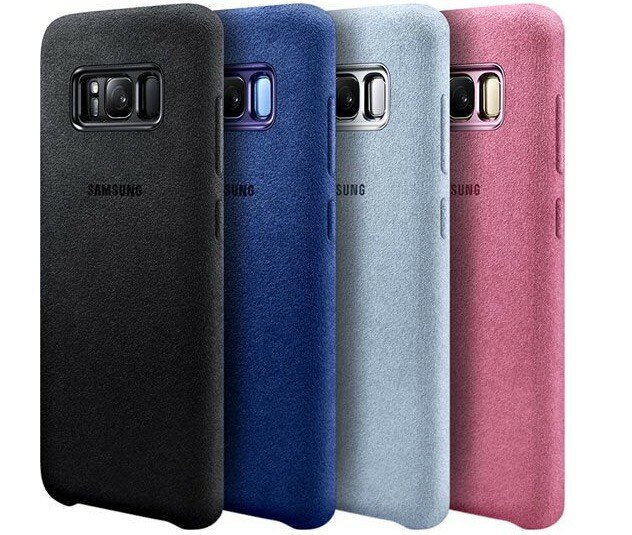 The suede like material of which the case is made will surely make your Galaxy S8 look amazing. 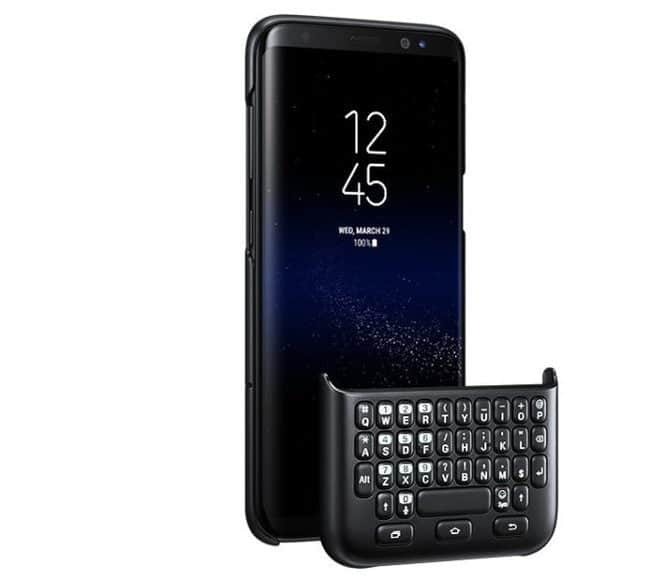 The details about the price of this Galaxy S8 case are not yet out. Whatever the amount is, the case indeed is worth buying. Do you have any more best Galaxy S8 cases and covers to add to the list or the cool ones that you can suggest? Why not share your favorite cases for Galaxy S8 with us by leaving your comments below in the section provided!